The importance of having good bike brakes should not be underestimated. After all, being able to bring your bike to a stop in due time can overcome a lot of potential accidents and incidents. You don’t necessarily have to be in traffic to need good brakes; they are also important when you’re riding downhill and need to be able to control the speed of your bike and slow it down to avoid certain obstacles. Whatever the case, brakes are as essential on a bike as they are on a car. Today, we’re going to go over some of the most popular choices in terms of road bike brakes, but not before going through the essential information that every buyer has to know before going shopping. Rim brakes are a very common choice for road bikes because they feature lighter systems, which are also low maintenance and easy to adjust. By pulling the brake lever that’s mounted on the handlebar of your bike, you are activating the cable’s tension and pushing the caliper to connect the brake pads and the rim of your wheels, bringing the bike to a stop. Rim brakes are usually made from aluminum, which is well-known for its lightweight properties. Since this is a road bike we’re talking about, it’s important not to have components that weight too much. Since they are easy to care for, every bike rookie should own a pair of rim brakes. In fact, the components that are most prone to wear is the brake pad, which is super easy to replace and doesn’t cost a lot of money. When it comes to design, things are subjective and not everyone’s tastes are the same. If you’ve been riding a bike since forever, chances are you appreciate the classic and timeless appearance of rim brakes. Disc brakes, on the other hand, have a more modern feel and a more advanced braking mechanism. They can be either mechanical or hydraulically. The former type is quite similar to rim brakes, in a sense that by pressing the brake lever, you will activate tension inside the cable and have the pads press against the rotor to slow down and eventually stop the bike. Hydraulic systems, on the other hand, have a more complicated functioning mechanism. The master cylinder houses brake fluid which is pushed into the system every time you press the braking lever. When this braking fluid is pushed towards the caliper, it forces the pads to compress onto the rotor and stop the bike. The first and most important advantage that disc brakes have to offer over rim brakes is the stopping power. Then, you have the consistency, because disc brakes are way more performant in several weather conditions compared to rim brakes, who don’t really perform well in wet and muddy conditions. That’s because the system allows the rims to get dirty and makes them more prone to damage over time. Modulation is also better on disc brakes. This is the balance between the pressure applied on the braking level and the response of the actual breaks. If a bike has low modulation, this means that the brakes are too stiff, with very little feedback from the lever. When there is too much modulation, the brakes flex too much and the result is a weaker braking response. Having good modulation means that you have more control over the speed of your bike. All of this can be adjusted with standard tools that should be in any good bike tool kit. The whole construction of disc brakes is ideal because they provide a better mechanical advantage since you don’t need a lot of force to apply the brakes. Another very important feature of disc brakes that are often overlooked by average bike riders when shopping for brakes is the heat dissipation. If you own a bike that operates with rim brakes, longer and steeper descent will cause an overheating of the rim due to the applied braking mechanism. This causes you to lose braking power. Since disc brakes have a different mechanism, the braking power doesn’t fade away even in harsh conditions. However, disc brakes aren’t all sunshine and flowers, so there are a couple of disadvantages worth mentioning. First of all, maintenance is more difficult, especially with hydraulic systems, which have a more complicated functioning mechanism. Even if you can rely on the efficiency and performance of hydraulic mechanisms, they will require bleeding from time to time, and this is often a complicated and messy process. Another downside is the overall weight of these brakes. Since the system has more components, lightweight is sacrificed, which means that your bike will be heavier compared to those that have rim brakes installed. Here is where things get a bit tricky. If you ask a person that’s been sporting rim brakes on their bike since forever, they will most likely tell you that investing in disc brakes is useless because these “work just fine”. However, if you confront someone who’s a fan of disc brakes, they will have lots of negative things to say about rim brakes. The truth… is somewhere in the middle. Of course, it all comes down to a matter of personal choice and all we can really do is talk about the advantages and disadvantages of disc brakes over rim brakes. It all depends on your priority list. We are fans of disc brakes, even if they are high maintenance (well, not THAT high, but at least higher compared to rim braking systems) and weight a little more because their systems have a lot more bulkier components. Disc brakes are consistent and you have to love that about them. Even if you apply the same force every time you push the levers, rim brakes won’t always provide the same level of braking. You will often hear that disc brakes provide you with more speed. This statement is a bit untrue. What they DO provide is the peace of mind needed that when you ride your bike at higher speed, disc brakes are more reliable and have a lot more braking power. This information sticks to the back of your mind and you will feel confident in pedaling at a higher speed. The fact that disc brakes are reliable in several weather conditions is also a plus and one that’s definitely worth considering. If you want our super-honest opinion on the matter: if you’ve tried rim brakes and then switched to disc brakes, there are chances you’ll never go back. Even if you’re an average road bike rider, you deserve to feel safe at all times. This is definitely an option that should keep your bike going for miles and miles to come. 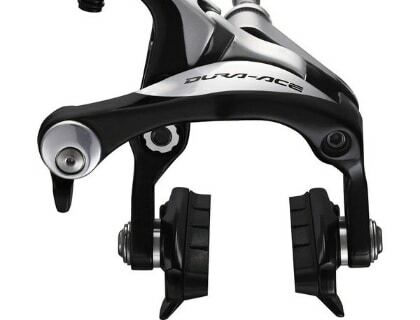 Extremely easy to set up and featuring dual sided actuation that forces the pads to produce equal clamping force, the SLCs have made their way into our top 5 most favorite road bike brakes. If you’ve ever tested the previous Spyre version, then you will tell that there is a huge improvement in terms of braking power. The bite point is very crisp, and modulation is decent enough for both on and off-road uses. Performance is almost as good as that of a hydraulic system. Pads wear evenly on both sides. Carbon actuation arm designed for eliminating useless weight. Dual side clamping for TRP caliper. Performance in muddy conditions is questionable. 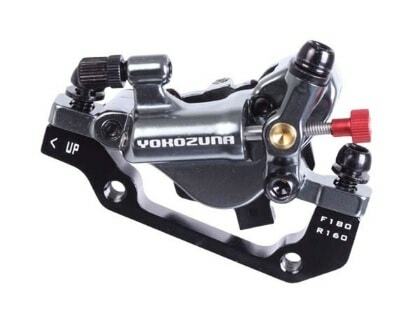 The Yokozuna Motoko is a great hydraulic braking system that provides you with pretty much everything you need to be able to fully rely on your bike when it comes to making a stop. You get everything you need in a single package: the 160 mm rotors, the cables, adapters and bolts that are needed to start mounting. If your bike usually runs a 140 mm rotor, you can use the adapter to fit the 160 one. Cable routing may present a bit of trouble, since it enters the barrel adjuster at the mounting bolt’s left side. A solution for this problem would be to route the cable housing (which is pretty stiff) by using some insulation tape and a couple of zip ties to keep it out of the way. As long as you manage to get this problem solved, all you really need is a 5 mm Allen wrench and a T25 Torx. Overall, the Motoko is an ideal touring and road companion, with a simple pad adjustment and a caliper that weighs in at only 145 grams. Comes with reaction compressionless brake cable set. Actuation lever with great adjustment. Brake cable may pose difficulties when mounting. Available in beautiful metallic silver or black, the Shimano 105 is one of those products that manages to elegantly balance a smooth braking performance with a lightweight aluminum construction. The smooth operation is provided by the combination between the 2 pivot bearings and the dual-pivot caliper, managing to bring your bike to a stop with the performance of Dura-Ace and Ultegra. The braking pads should be very easy to change, just like it’s easy to adjust the brakes if needed. Features architecture similar to the Ultegra and Dura-Ace. Caliper features a raised arch, for more rubber thickness. Brakes are easy to adjust. Very good value between price and performance. 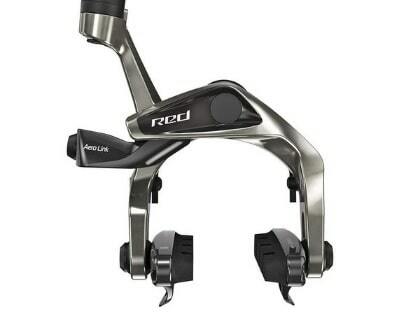 These are possibly the best mechanical rim brakes that Shimano has ever manufactured and sold. They were the first brakes produced by Shimano to feature the dual-pivot design, which makes it super easy to mount the brakes on your bike. Even if they are a bit heavier compared to what you normally get from standard rim brakes, they are more powerful compared to the competition. In fact, its performance matches some road disc brakes we’ve seen, and that is nothing short of impressive. There is a combination of several elements (such as the solid architecture and the roller-guided upper arm) that work together to bring the cyclist true control over the bike’s braking system. Thanks to the cable clamp, you can make fine clearance adjustments when needed. Identified by a lot of customers as “the best rim brakes that money can buy”. Standard size caliper will fit most bikes. There was no way that we could leave SRAM out of this equation, so you must have seen it coming. SRAM always stands by its promises to deliver a good balance between the lightweight of their products and the superior braking power that every cyclist should be able to rely upon. The name isn’t just there for show: the front profile was designed to boost aerodynamics at a much higher level than its predecessors. Yes, the patented AeroLink arm that SRAM takes pride in was integrated into the design of the product. It’s here to give you great modulation without applying too much force to your handlebar braking lever. The cable clamp features spring adjusters and there is 4-position indexed release lever to allow fine adjustments to be made even as you ride. SRAM has really invested in the dynamics of this braking systems, to make sure that you can truly “ride like the wind”. Redesign aerodynamics for better movement. Cable clamp comes with spring adjusters. Possibility to adjust the brakes as you ride. With a cable that runs all the way to the caliper and a super easy setup, these are some of the best road bike brakes you’ll ever feast your eyes upon. The pots and the hydraulic master cylinder are frame or fork-bolted to act as a single unit. Thanks to the open hydraulic system, making an adjustment is as easy as pie. It seems that the only thing you will have to worry about on the long run is changing the pads as they wear out. The fact that the hydraulic system is enclosed means that there shouldn’t be any bleeding, unless the brake fluid somehow reaches a boiling point, which is highly unlikely since stress tests have proven this isn’t an issue. What’s truly amazing about this system is the predictability it provides in most weather conditions. While it’s true that disc brakes are meant to perform well on dry and wet surfaces alike, the Hy/Rd mechanism will amaze you even on steep descents. It’s true that forcing the brakes downhill will result in a little bit of heat, but there is a minimal heat transfer to the caliper. You will notice that even if the rotors are hot, there is barely any warmth in the hydraulic system. Adjusting the filter will result in less lever force required to stop the bike. Even if this system is mounted on a road bike, you won’t be afraid to take on rougher roads with it. It can perform amazingly well in big road descents. Even when forced, the hydraulic system is barely warm. Not the best customer service. Your best bet is choosing a braking system that matches your biking habits. If it’s performance you’re interested in, then you need disc brakes. And if you own a road bike, then you should absolutely look for a hydraulic braking system. We do believe that disc brakes are the best option for road bikes, for a bunch of reasons. First of all, they are faster and more responsive when it comes to stopping your bike. Second, they are efficient for all kinds of terrain and perform well in all sorts of weather conditions. Chances are, you won’t just be riding your bike in the summer, so you need a brake that performs well even in fall’s heavy rain or winter’s unmerciful snow. Disc brakes aren’t that exposed to wear and tear and they also help protect the rims for a longer period of time. Rim brakes, on the other hand, will generate a lot more heat and cause damage over time. With disc brakes, there is also a lower chance of you ending up with flat tires. That’s because rim brakes tend to overheat and this can lead to the tires blowing out. Since disc brakes don’t come in contact to the rim and are a mere extension of the hub, tire blowouts aren’t that big of a problem.